Which Is the Easiest Process of Building Wooden Garden Sheds? Garden sheds are becoming more and more popular in the UK. As a matter of fact, such a garden room is an invaluable addition to any garden, but it needs to fit into one’s budget. Finding the right balance between price and quality can be tricky. 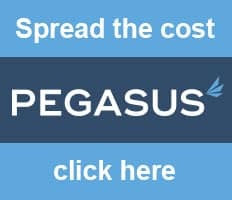 With this in mind, we have narrowed down our solutions for you to provide you with some of the best garden sheds on a budget currently on the market in the UK. Are you ready to be overwhelmed by some of the best price-value ratios available this fall? This solid, windowless shed it the best option for gardeners to store tools and machinery, and for any other storage solution where you want to shield your material not only from burglars, but also from curious peeps. In fact, it is our best-selling garden shed and it is currently on sale! Sturdy 40mm walls from slow grown Nordic Spruce, stable corner joints, and an overall solid construction give you the security you need for your storage. A large double-door with a cylinder lock opens to 1.43m and allows for storage of bulky items if needed. A ridge height of under 2.5m allows for a construction without any worries about building restrictions, For a price of under £2000.- you can get 12m2 of high-quality storage space. 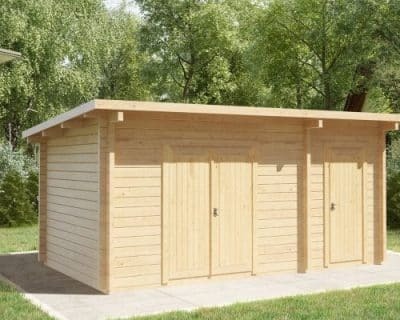 Compared to plastic or metal sheds, wooden sheds guarantee dry storage in all weather and temperature conditions plus they provide a nice and natural optical impression. The Nora F wooden workshop provides plenty of storage space at an affordable price. Sturdy 40mm walls and wooden floor boards keep your storage dry and safe. Moreover, the Nora F features two opening windows high up on the wall where looking inside is not an option, but they will flood the inside with natural light so that you can also use this budget garden shed to build a workshop inside or build shelves and storage facilities for smaller objects. This is a fantastic opportunity to buy two sheds for the price of one! The type C double shed is just the right choice if you have storage needs of different kinds and need to access your items regularly. Nearly 15m2 of storage space are divided into two sheds next to each other under one flat roof under 2.5m high. 44mm walls with double groove and tongue joints plus four metal rods from floor to roof in each of the four corners make this shed unbreakable and guarantee a long life span. The larger shed opens with a double-door and the smaller half with a single door. With both doors from sturdy Northern Spruce with cylinder locks, your storage goods will not only be well stored in a compartmentalized garden storage shed, but also safe. No windows allow curious looks from the outside. We recommend the double shed type C for a lot of storage room for items that you need frequently, like toys, bikes, gardening tools and alike. This elegant garden building offers plenty of space on a simple floor plan of 3x4m. Superb quality with 40mm wall thickness offers security and a long life span and the assembly of the building kit will take an average DIY-er just one, two or at maximum three days. 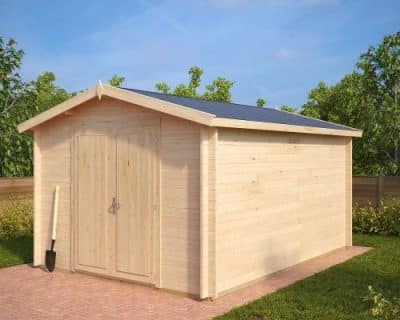 The spacious 12m2 Eva garden shed is designed to be a safe storage area or a medium-sized workshop. Three opening windows with 3mm real glass high up on the wall invite natural light in and provide ventilation. Moreover, we offer a lot of other sizes and styles within the Eva and Nora product lines. For example, if you are looking for sheds with large windows and verandas, you will also find a large selection. Another example of a spacious and safe workshop and storage shed with a superb quality and a very affordable price, the windowless Nora A garden shed might be your choice. A square floor plan of 3.2m x 3.2m gets the most space out of the material and thus the price can be this low. The great thing about the double-door design is, that you will find it so easy to get lawnmowers, bicycles, ping-pong tables or any other large items in and out of the garden shed at any time you need them. Timber as the building material allows you to customize your cabin as much as you like, to fix shelves or hook rails onto the walls or to provide for extra storage space under the gabled roof. Choose your new garden shed today! All our garden sheds come with a five-year guarantee. This selection of garden sheds in the UK will make your choice much easier, knowing that a valuable high-quality storage space in the garden is not as expensive as you might have thought. With proper care, like a treatment at the weather side each five or six years, such garden sheds will easily last a lifetime and you will still inherit them to your grandchildren.